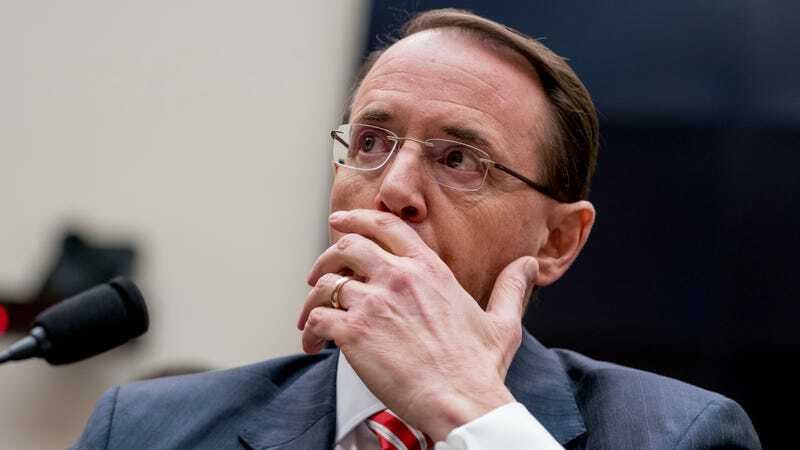 Deputy Attorney General Rod Rosenstein has been a frequent target of presidential vitriol as the Department of Justice official overseeing Special Counsel Robert Mueller’s investigation into Russian election interference and its ties to Donald Trump’s administration. It’s only gotten worse since a report last week indicated Rosenstein may have suggested (jokingly or otherwise) that he secretly record the president or solicit cabinet members to invoke the 25th Amendment and depose him. “THIS IS ONLY A TEST,” a voice on the intercom blared, as the alarms went off in a bizarre series of high-pitched tones.